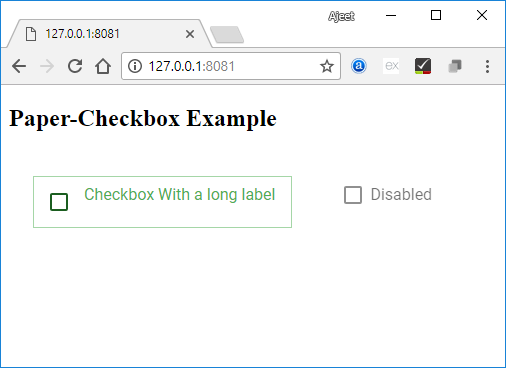 The polymer paper-checkbox is a checkbox used to check or uncheck it. Normally, checkboxes are used to select multiple options from a set. To get the paper-checkbox in your directory, you should use the following command in the command prompt. Create an index.html file and add the following code in it to see the use of paper-checkbox element in Polymer.js. Now, open the my-app.html file and include the following code in it.